For the ultimate in New England charm and scenery, check out these incredible outdoor wedding venues in Maine. 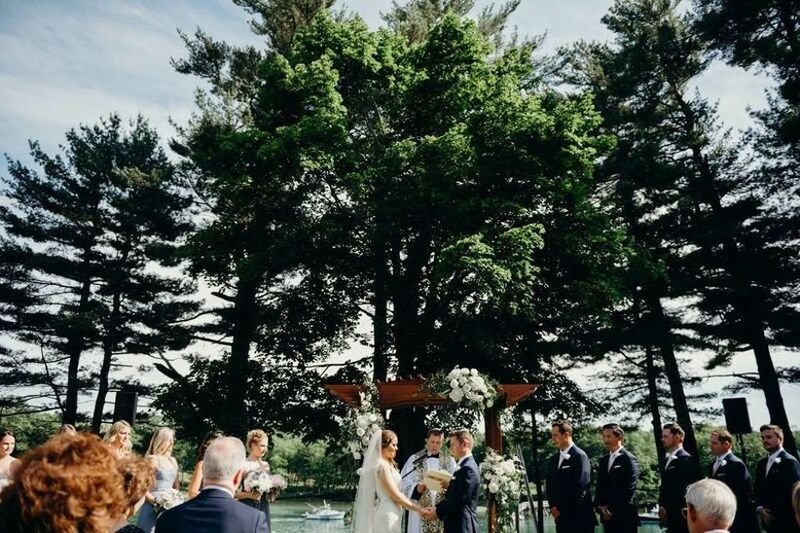 To fully enjoy the Pine Tree State’s scenery on your big day, an outdoor wedding venue in Maine is a must. Whether you’d prefer to view the mountains, the water, or the grassy expanses (or all three! ), there are lots of Maine wedding venues to choose from. 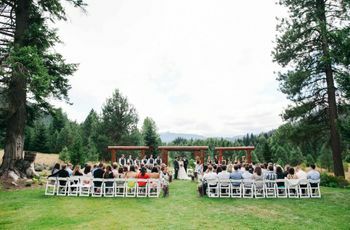 In fact, some of the best wedding venues in Maine offer outdoor and semi-outdoor spaces for ceremonies and receptions. You’ll love exploring the inns, farms, resorts, golf clubs, and other outdoor spaces Maine has to offer. And yes, these all have indoor components as well in case of inclement weather. Browse some of our favorite outdoor wedding venues in Maine to find the perfect spot for your special day. If your idea of a perfect wedding includes stunning mountain scenery, this inn in West Paris, Maine may be just the location for you. Set on 52 acres, you can rent the entire inn for your wedding weekend to enjoy a true destination wedding experience. 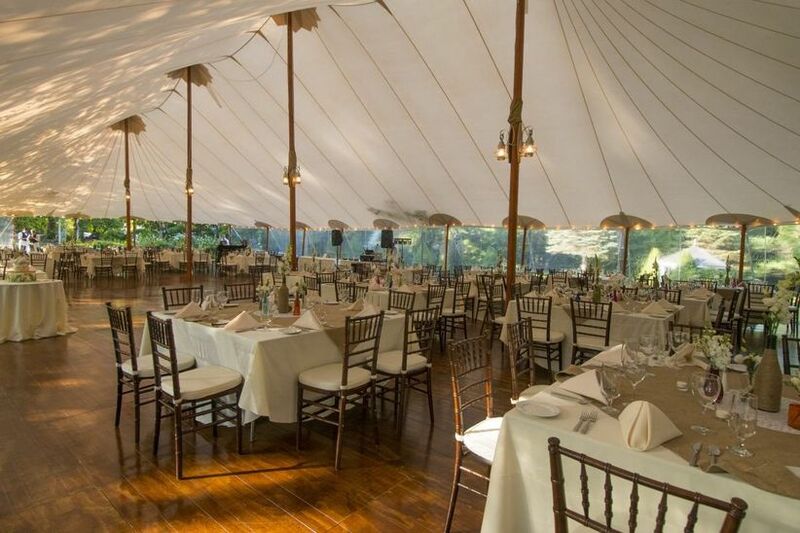 Host your ceremony on the great lawn with the mountains as your backdrop, and then enjoy dinner and dancing in a tent on the property, which can host up to 200 guests. Up to 18 guests can stay on-site to enjoy the full experience—and breathtaking sunsets—and this special outdoor wedding venue in Maine. This farm and restaurant in Cape Neddick is among the best wedding venues in Maine, where you can enjoy water views and gorgeous gardens. Your photographer will love staging your first look with the ocean and lighthouse as your backdrop. Then, exchange vows in the garden gazebo and host a tented reception for up to 220 guests. This Couples’ Choice Award-winning venue is all-inclusive, and there are a variety of wedding packages to suit all budgets. This is also a popular spot for rehearsal dinners and elopements. 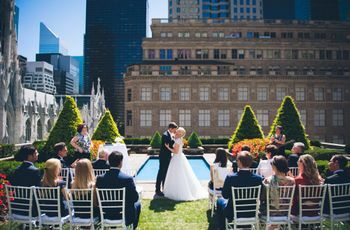 If you and your partner want to feel like a celeb couple on your wedding day, look no further than this estate venue in Stockton Springs. You’ll find a 14-acre private estate, complete with guest rooms and neighboring cottages where your friends and family can stay. This waterfront wedding venue is located on a private peninsula, and the water views are truly spectacular. 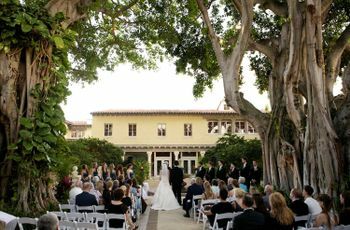 There are numerous outdoor ceremony locations to choose from, but our favorites are the lovely gazebo and the oceanfront lawn. 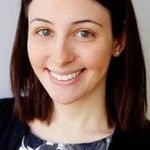 And while there are a variety of wedding reception spaces, many couples choose to host their weddings of up to 200 guests under a sailcloth tent on premises. 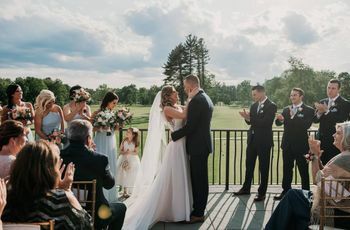 There are lots of reasons why country club weddings are so popular, from the in-house catering and professional staff to the variety of indoor and outdoor spaces. We particularly adore this historic golf and tennis club in York because of its nautical-chic yet woodsy setting. 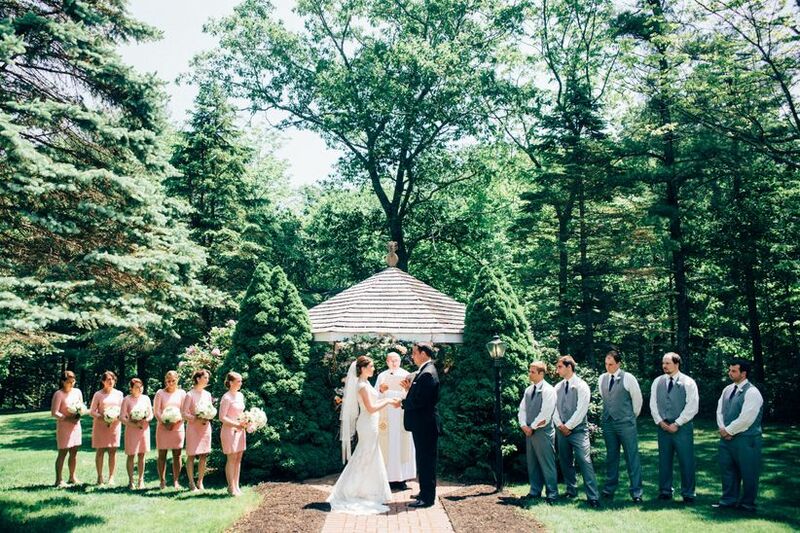 Enjoy a waterfront ceremony and reception inside the Clubhouse and on its covered terrace. There’s space for up to 200 guests at this Couples’ Choice Award-winning venue, as well as a variety of wedding packages to choose from. For an intimate wedding venue in Maine, check out this historic bed and breakfast located in Phippsburg. The inn offers a waterfront setting, classic, historic ambiance, and rustic wedding style—a truly unique combination. Host your wedding ceremony on the lawn with the calm water as your backdrop or in a nearby church, then enjoy a reception in a tent, as well as utilizing the 1860s barn and mansion. Weddings of up to 116 guests can be hosted here, and there are guest rooms for up to 16 to stay the weekend (complete with farm-to-table breakfasts!). You’ll love the many unique features at this Maine wedding venue. This Bethel resort offers a variety of indoor and outdoor settings for ceremonies, including a historic covered bridge, a gazebo, or even a golf course. Host your reception in a tent or inside the resort’s grand hall, with space for up to 250 guests. 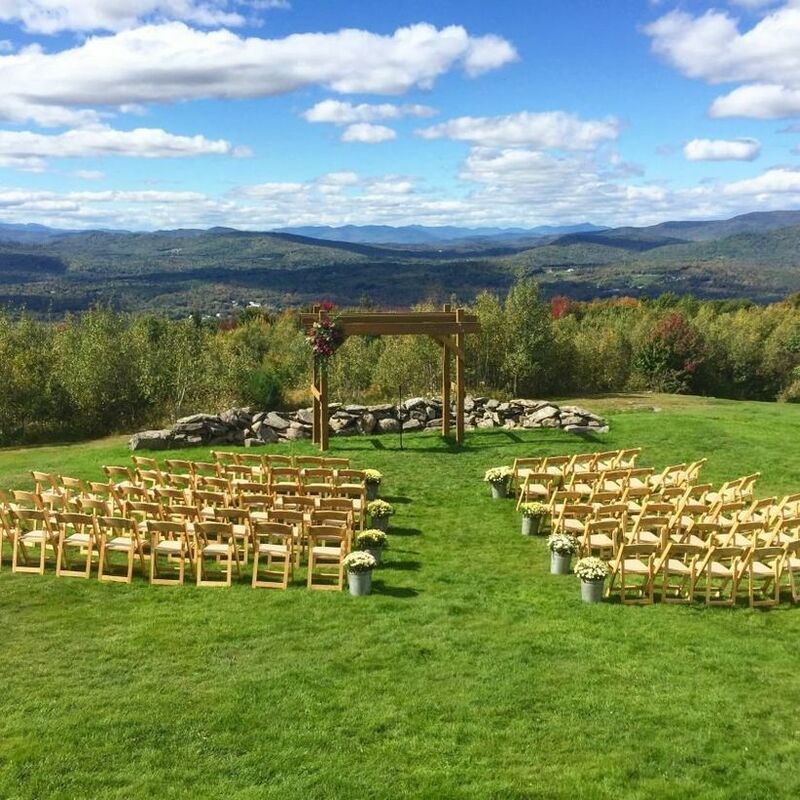 There are numerous affordable wedding packages to choose from at this Couples’ Choice Award-winning outdoor wedding venue in Maine, and you can add extras such as fireworks or a horse-drawn carriage to your wedding day to personalize your event. There’s nothing quite like a casual Maine wedding complete with a lobster bake. 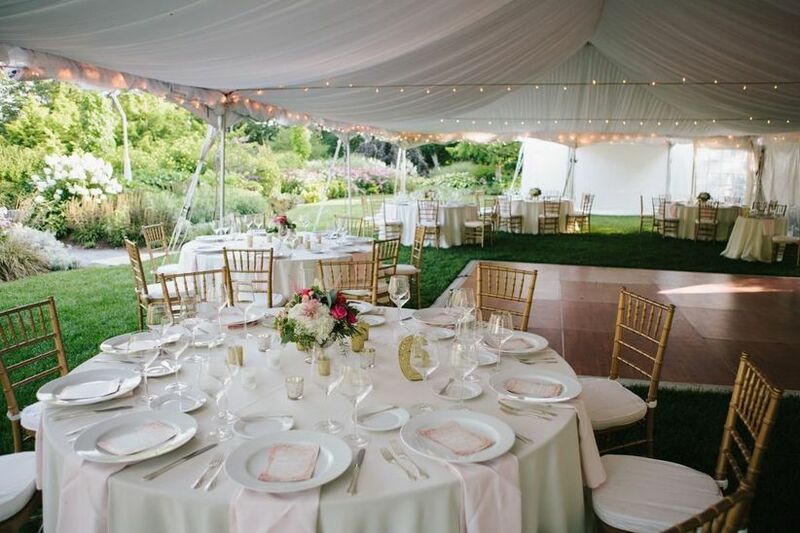 At this caterer-owned venue in Nobleboro, you’ll find a casual outdoor setting on the Damariscotta River and delicious New England cuisine. Host your ceremony overlooking the water, followed by a tented reception on the expansive property, which can accommodate up to 250 guests. And because catering is on-site, you’ll be able to relax and enjoy a stress-free wedding planning process. 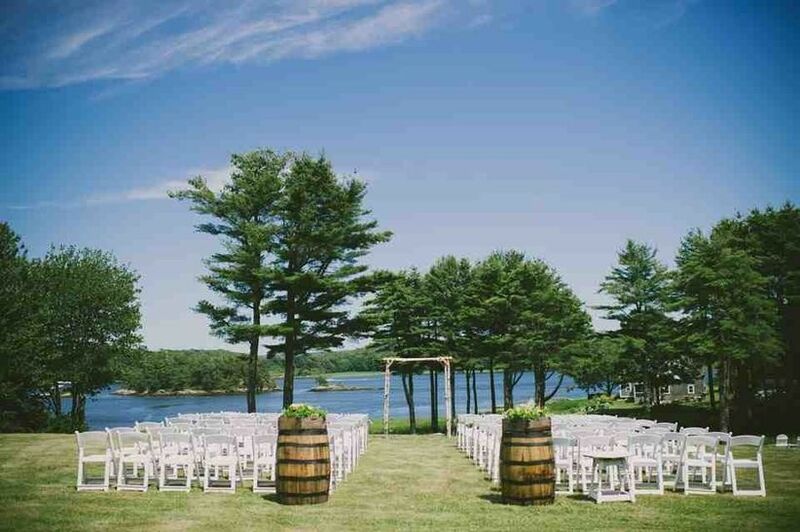 If you’re looking for an outdoor wedding venue in Maine with a nautical-chic vibe, check out this inn in Southport. 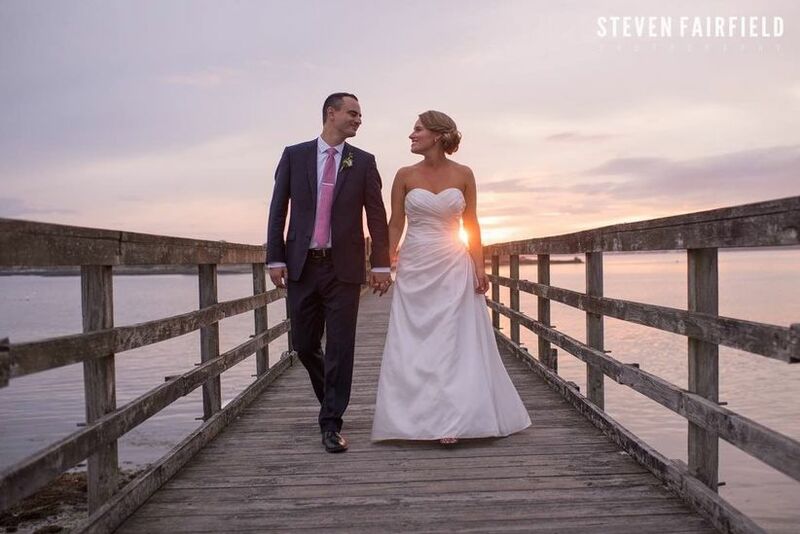 Located on 20 acres of oceanfront property, Newagen Seaside Inn offers a variety of outdoor ceremonies locations, from a garden gazebo to a waterfront deck. Then, host a tented reception or celebrate in the inn’s restaurant. And since your guests can stay on premises, this is also an ideal spot for lobster bake rehearsal dinners. There’s space for up to 227 guests, but Newagen Seaside Inn is also a great spot for smaller events, including elopements! 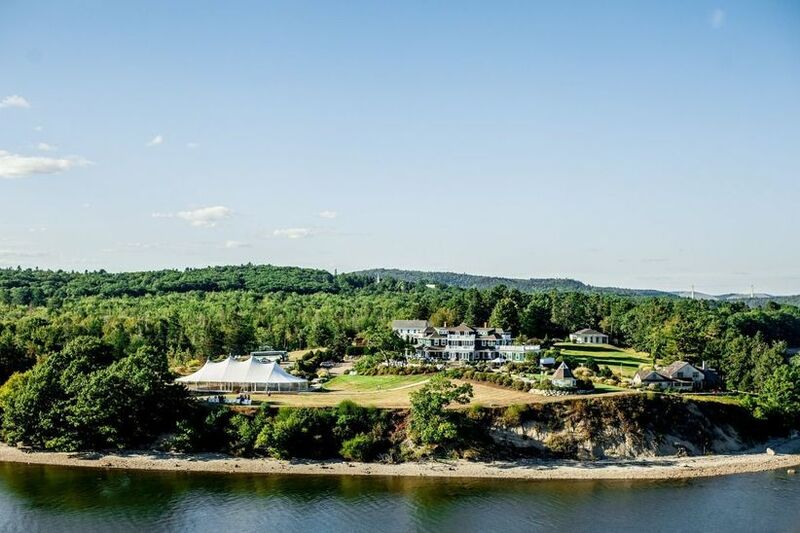 You’ll feel like you’re marrying on your own private island at this Maine wedding venue, located just three miles from downtown Portland. 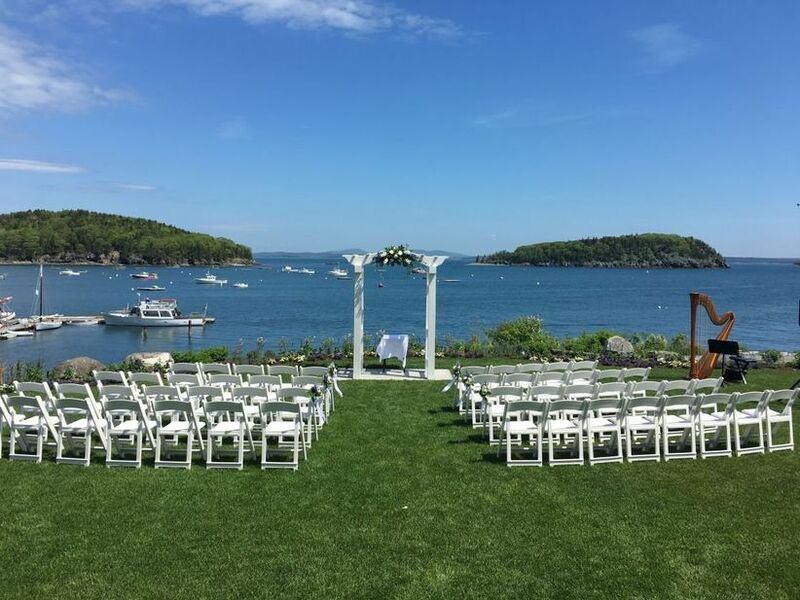 Set on Casco Bay, this Couples’ Choice Award-winning venue offers several outdoor and tented settings for ceremonies, and receptions are held inside the inn and restaurant. And since catering is handled on-site, your planning experience is sure to be stress-free. Open year-round, there’s room for up to 212 guests at The Inn on Peaks Island, and there are several onsite guest rooms so that your wedding party can spend the weekend here. 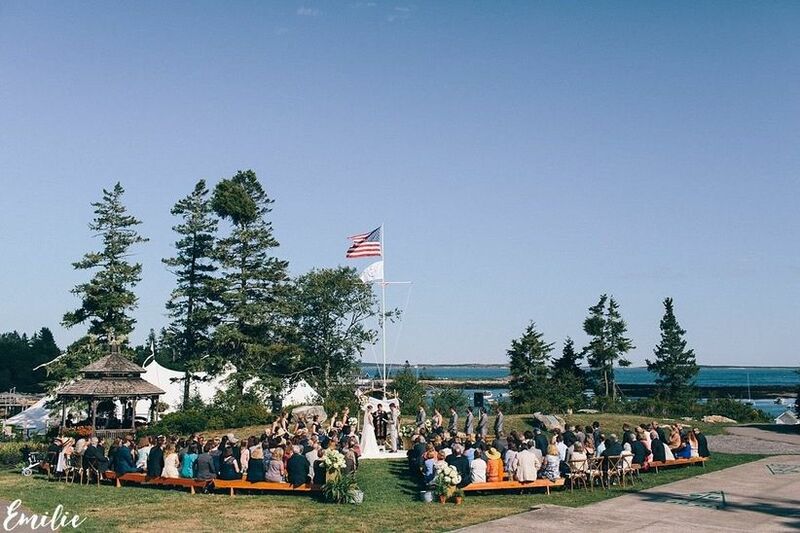 Maine is known for its New England seaside charm, and this venue truly exemplifies that feel. 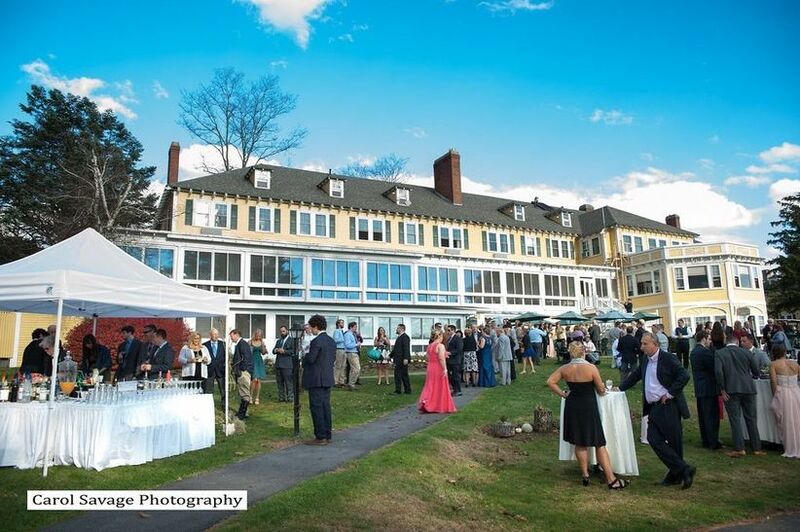 This oceanfront resort in Cape Elizabeth can accommodate weddings of up to 200 guests, whether you’re hoping for an indoor or outdoor event. Enjoy the ocean breeze as you exchange vows overlooking Crescent Beach and the Atlantic Ocean, and then celebrate in the 1,300 square foot Crescent Room with its outdoor terrace and garden and beach views. This is an all-inclusive venue that also boasts a partnership with a highly-regarded floral and event design company to provide a one-stop shop for all your planning needs. 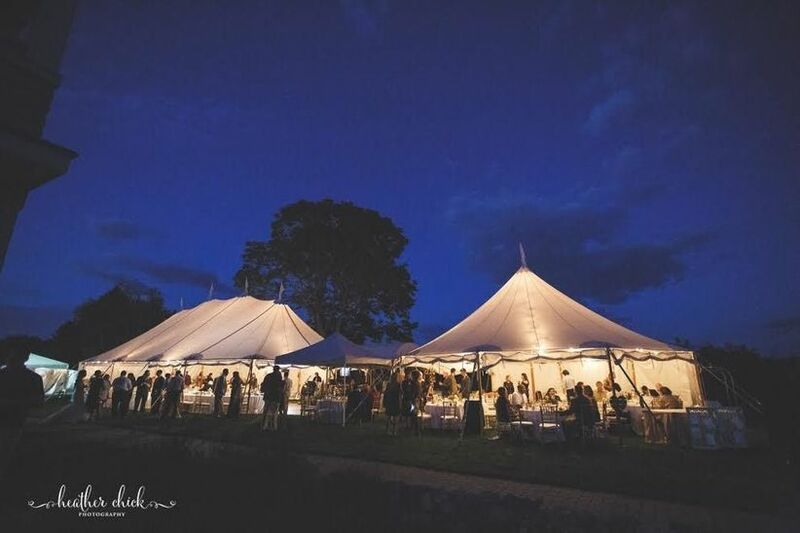 For an intimate outdoor wedding venue in Maine, check out this Bar Harbor space, which offers room for up to 150 guests. Ceremonies are held on the Bayview Lawn, featuring views of Frenchman Bay and the Porcupine Islands—you and your guests might even catch a glimpse of the historic four-masted schooner as it sails into port while you exchange your vows. Then, enjoy your reception in the Reading Room, featuring a grand crystal chandelier and bay views, or the smaller Porcupine Room, with its wrap-around balcony. And since this venue is all-inclusive and offers on-site guest accommodations, your planning process is sure to be smooth.